After months of battle on the ice, the field of eight is set to crown this year’s champion of the PAC 8 Hockey Conference. 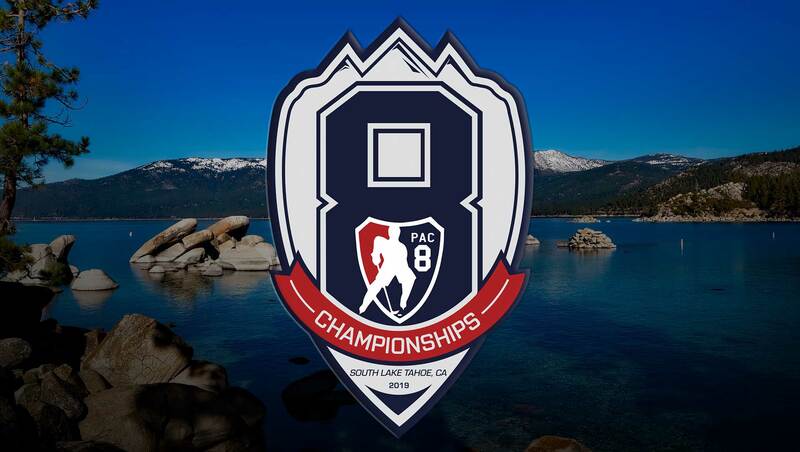 The four teams from both the North and South Divisions were announced today that will compete for the title in Lake Tahoe this upcoming weekend. With this year’s expansion to twelve teams in the conference, this year’s division battles came down to the final weekend. In the North Division, Boise State (10-2) and Eastern Washington (10-2) tied for the top spot in the division. The North Division title went to Boise State after going to the second tiebreaker (goals allowed) after the Broncos and Eagles split their season series. The Eagles will be the second seed out of the North, followed by Oregon (8-4) who will be the third seed. The final seed out of the North Division came down to a tiebreaker as well with Washington and Western Washington tying for fourth with 4-8 records. But thanks to Washington winning the season series 2-0, the Huskies will make the trip to Tahoe as the last seed in the north. In the South Division, California (9-3) won the division title after splitting the final weekend of the regular season with San Diego State (8-4) and held on to their one game lead in the division. Cal and SDSU will be the top two seeds in the south while San Jose State and Arizona State will be the third and fourth seeds. San Jose State won the third seed in the division thanks to winning the second tiebreaker (goals allowed) against Arizona State.